This Task Force hearing lasted approximately 17 hours and is full of accounts of our family court system allowing embittered, vindictive parents to use the flawed system to place a wedge between the other parent and their child(ren). It should serve as an eye-opening account of how pervasive this type of abuse is in our court system and how insidious and detrimental parental alienation is to the children. 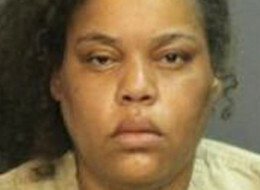 Alienating Mother ordered to return children to father; Kills children instead. SANTA ANA, Calif. — A mother involved in a contentious custody case was charged Monday with killing her 13-year-old autistic son and 9-year-old daughter in California after a judge ordered them returned to their father in Georgia. A mother’s struggle with Parental Alienation continues. Sweeping changes to family law in B.C. April 29, 2013 - Are fathers getting short end of the stick in Utah custody cases? A Little About Me, A Lot About "Breaking the Silence"
It's a big word for a big problem, one that has been hotly debated on both sides. Parental Alienation is when one parent tries to turn a child against another parent through bad-mouthing and expressing anger toward that parent, casting him or her in a negative light and making the child feel guilty for wanting to spend time with--and even loving--this parent. It sounds despicable, doesn't it? But let's be honest. Many single parents--including me--are guilty of Parental Alienation to some degree, whether it's intentional or not. In my case, there was a lot of anger in the beginning and it was difficult to contain my emotions around my children. While I wasn't saying negative things about their father to purposely destroy their relationship with him, I see now how destructive and irresponsible my behavior was. Parental Alienation is a common, well-documented phenomenon in divorce, a form of child abuse, says Glenn Sacks, a columnist who is an outspoken and frequently published advocate on the subject (glennsacks.com). "There are mild cases of Parental Alienation, and then some parents go on a malicious campaign to destroy the relationship between their children and the other parent, lasting years and even decades." Although many experts on the subject say it is a gender-neutral problem, Sacks says it's usually the custodial parent--the mother in many cases--who does the alienating. "Children spend most of their time with this parent. They're the gatekeepers and control access to the other parent, and can easily block phone calls and visits." One of the worst cases known to Sacks was a father of two whose ex-wife remarried and moved to Phoenix. He flew there one weekend to visit his daughters and she turned him away. With a heavy heart, he flew home. He later checked his phone messages and heard his daughters sobbing in the background as his ex-wife screamed into the phone, "Where are you? We've been waiting at the restaurant!" Sacks says the ex-wife made him "look like the bad guy" so many times, that now his daughters won't even speak to him. Remember the infamous abusive rant that actor Alec Baldwin left on his daughter's phone years ago? He blames this admittedly regretful outburst toward his daughter on his ex-wife, Kim Basinger, who had purposely tried to disrupt the relationship between him and his daughter, he claimed. "I've been driven to the edge by parental alienation for many years now. You have to go through this to understand." Baldwin was criticized by some feminist groups for using "Parental Alienation Syndrome (PAS)" as the reason why he was estranged from his daughter. They claim there's no such thing as PAS. Helen Grieco, former executive director of the California National Organization of Women, agrees. She says Parental Alienation is "junk science," a tactic used by noncustodial fathers in the courtroom to make mothers look unfit for custody. The danger, she says, of courts buying into this "scam" is that children could end up in the primary custody of abusive and molesting fathers from whom the mother is trying to protect them. After a contentious debate that dragged on for years, the American Psychiatric Association has determined that Parental Alienation Syndrome is not a mental disorder, and will not list it in its updated catalog of mental disorders. Despite the backlash, the Parental Alienation Awareness Organization has succeeded in getting at least 17 U.S. states to recognize April 25 as Parental Alienation Awareness Day. And in another win for the PAS argument, a bill was defeated in California in 2010--AB 612--that would have prevented mental health professionals from submitting evidence of Parental Alienation in family law proceedings. Sacks has these final words for parents who engage in alienating behaviors: "Take a look at what it's doing to your kids. You're making them hate half of themselves. They're not going to be little forever. Someday they'll figure it out, and there will be hell to pay." If you suspect that your ex-spouse is alienating your child away from you, take immediate steps right away by contacting an Orange County divorce lawyer. Parental alienation is a serious issue that could have life-changing consequences.